Karwar, Oct 11: Union minister Ananth Kumar Hegde is known for brazen and controversial statements. And yet again the BJP MP from Uttara Kannada district is back in the spotlight, this time for boldly admitting that his party is here to do politics and not social service. The BJP leader said while addressing the crowds in his constituency said:, "You've voted our party. And the party of your choice will form the government, that's your right. Some say we do politics, but we're here to politics only, if not why would have we entered politics. It is because of politics I've become an MP. We can't do anything except politics, only that's possible by us. We're not here to do social service. We're here to do politics so we only do that. Journalists can interpret it however they want." The JD(S) slammed the minister for his comments. Arivalagan, spokesperson of the party said: "The minister's statement shows his party's culture and it is entirely true. BJP has been playing communal politics in the state and across the nation. They are not here to do social nor it is part of RSS' ideology. All that they do is dirty communal politics. I don't understand how and why PM Modi inducted him to his cabinet and why haven't they removed despite him making raking such controversies." 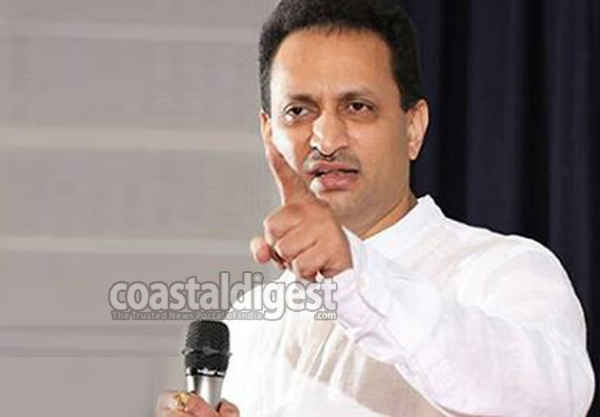 Although Anant Kumar Hegde's statement is brutally honest and close to the political reality that's prevalent these days, his comment has for once left the saffron party red-faced. And many in his own party don't endorse his views. When contacted BJP members refused to comment on the controversy. Political commentator Abdul Razak said, "A government servant is supposed to serve people. Elected representatives are also our servants. They must be doing social service. These are heights of arrogance." Earlier, he stirred a row after allegedly saying that the constitution will be changed in the coming days. His comment drew flak from all quarters and the BJP was forced to issue a clarification. But time and again when the minister makes a controversial statement, the BJP has distanced itself from him.